This property is a 11-minute walk from the beach. Located in the heart of New Plymouth, walking distance to the city's finest restaurants, art, retail and business precincts. The State Hotel is a 15 room boutique hotel and only a 5-minute walk to the New Plymouth Coastal Walkway. 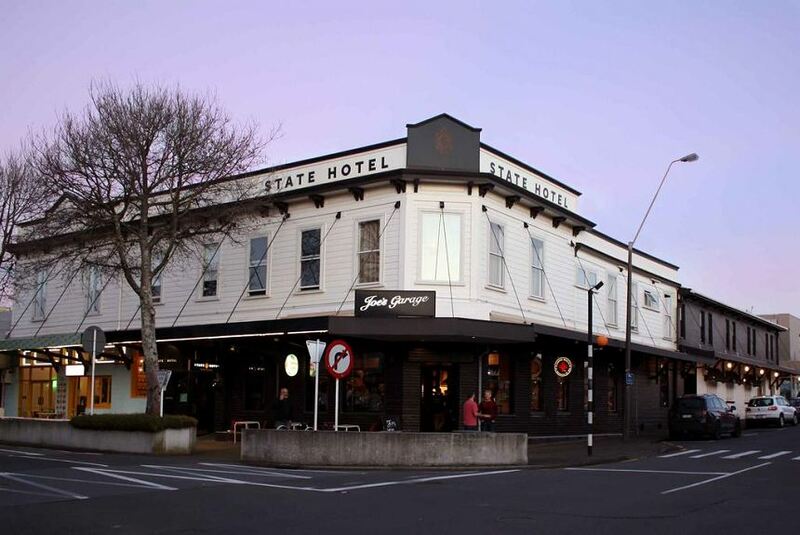 The State Hotel is also only 5 minutes' drive to TSB Bowl of Brooklands, Yarrows Stadium, TSB Stadium and 15 minutes drive to New Plymouth Airport. All air-conditioned rooms are individually decorated with eclectic furniture, New Zealand art and deep pile striped carpet. Free WiFi and satellite channels are provided. Rooms also feature tea and coffee making facilities, a microwave and a refrigerator. They have a private bathroom with a shower and free toiletries. Free parking is available at the rear of the hotel and is subject to availability.